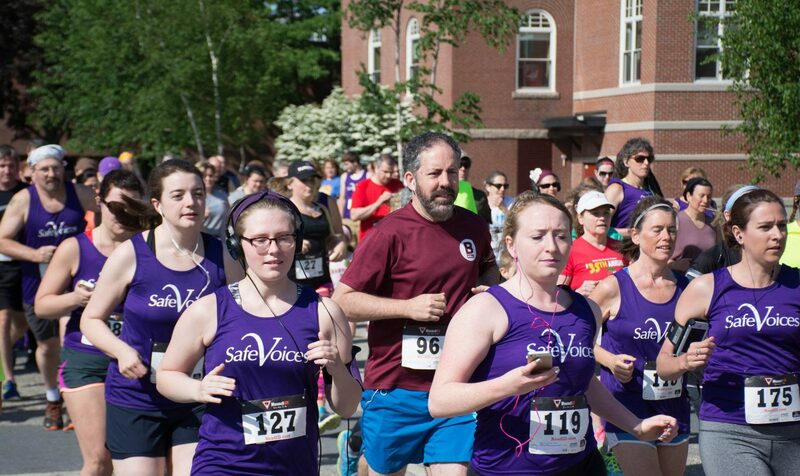 AUBURN - Safe Voices’ annual 5K Run/Walk to End Domestic Violence returns to the Bates College campus on Saturday, June 2. The event aims to spread awareness about domestic violence and raise money to support people affected by abuse in Androscoggin, Franklin and Oxford counties. This year marks the 25th anniversary of Safe Voices’ biggest annual fundraiser. The event was originally a walk-a-thon that took place in the Auburn Mall during the winter months. It soon moved outdoors, and five years ago Safe Voices added a 5K road race component. Participants can register online at RunSignUp.com. Runners and walkers are welcome, and there will be a one-mile walking loop in addition to the 5K course. This is a stroller- and dog-friendly event. Runners and walkers are encouraged to use RunSignUp.com to raise money on behalf of Safe Voices in the lead up to the event. All proceeds will support Safe Voices’ emergency shelter, advocacy and education services. In its last fiscal year, Safe Voices provided more than 10,000 hours of advocacy and housed 142 people in its emergency shelter, 67 of whom were children. In addition, more than 7,000 individuals received education through Safe Voices’ prevention programs. Those unable to participate in the 5K on June 2 can make a contribution to Safe Voices online at www.safevoices.org/donate. The event is supported in part by Safe Voices’ annual champion sponsors: Pediatric Associates of Lewiston, P.A. ; Brann & Isaacson; Geiger; Sun Media Group; Norway Savings Bank and The Computer Place.